The Gladiators couldn’t even cap a point on two maps. Today’s Overwatch League match between the Dallas Fuel and Los Angeles Gladiators may be the only one that had zero playoff implications, but that doesn’t mean both teams had nothing to play for. 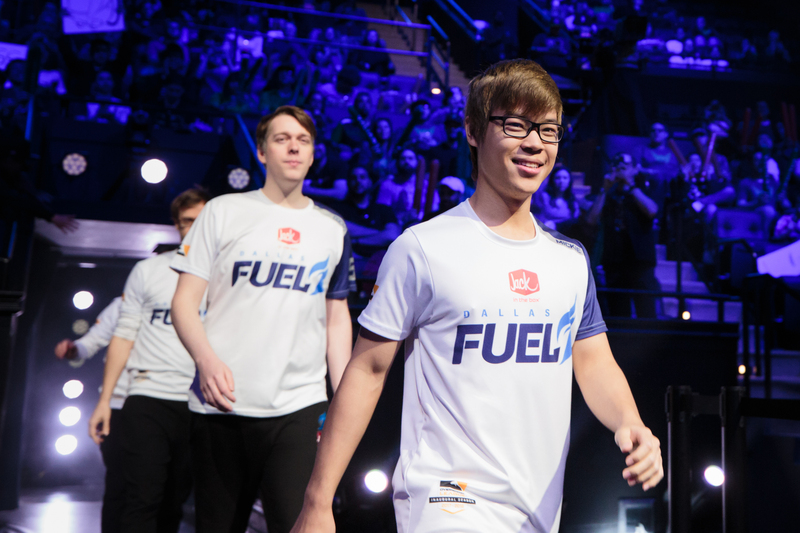 The Dallas Fuel wanted to put their disappointing Stage One behind them and they did just that, rocking the Los Angeles Gladiators. If this was the only Fuel match you watched this season, you’d probably think they were the world-beating team everyone expected them to be at the start of the season—not a squad witting near the bottom of the standings with a disappointing 3-7 record. The Fuel put together the impressive win without one of their star players, as Hyeon “EFFECT” Hwang is in his homeland of Korea due to personal reasons. But thanks to Taimou putting together one of his better performances this season—and a favorable map pool that allowed them to run Orisa compositions—the Fuel weren’t lacking. They absolutely dominated Eichenwalde and Oasis, preventing the Los Angeles Gladiators from capturing a single point. Dallas shut down the Gladiators’ star support line of Jonas “Shaz” Suovaara and Benjamin “BigGoose” Isohanni, frequently picking off their Mercy. Anubis was a bit closer, with Gladiators showing life by capping the first point fast. But despite LA pushing with a blast from the past—a nano-blade combination that scored three kills—the Fuel held, preventing the Gladiators from finishing the map with a six-minute defense. The Fuel ran through Anubis quick, giving them a three-minute timebank on their second attack to capture the first point and win the match. Instead of the Widowmaker composition they rolled out on their first offense, Dallas Fuel swapped Timo “Taimou” Kettunen to Roadhog backed by Orisa and D.Va, a shield grind composition that broke through Gladiators’ own Orisa with ease. The Fuel simply posted their Orisa shield in front of the foes and ground it to dust, slowly winning a prolonged fight and thus the map. That’s the kind of adjustment that made the old EnVyUs team such a hard squad to beat during their championship-winning days. The Gladiators took Dorado, but that’s little consolation after the shellacking the Fuel gave them on the first three maps. The loss drops Gladiators to 4-5 on the season, while the Fuel moved to 3-7. That’s not where Dallas wanted to be at the end of Stage One, but at least they finished on a high note with an impressive win against a mid-table team.